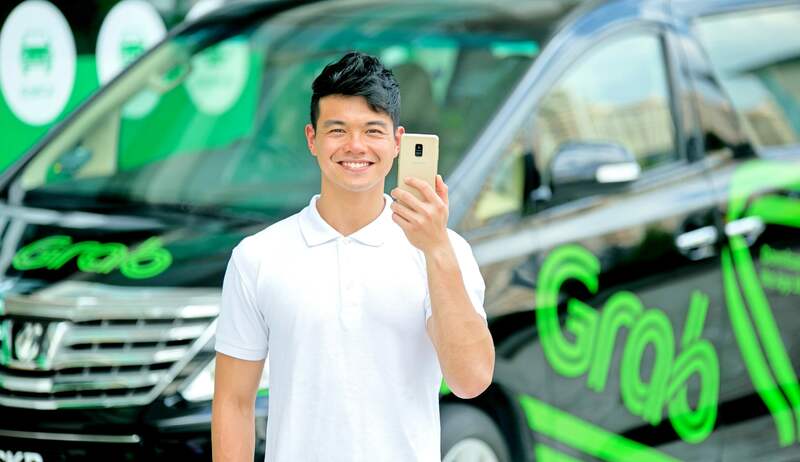 Grab, the leading on-demand transportation and mobile payments platform in Southeast Asia, and Samsung Electronics, one of the world’s largest electronics companies, announced that they have signed a multi-year MOU to drive digital inclusion in Southeast Asia. Grab is the market leader in ride-hailing in Southeast Asia, an industry that is one of the fastest growing Internet services sectors and expected to be a $25 billion market by 2022 in this region. As part of the wide-ranging strategic collaboration, Grab and Samsung will develop customized solutions for the ride-hailing industry, including micro-financing schemes for Grab’s over 2.3 million driver-partners, improved customer booking and in-car experiences, and new mobility solutions. AGREEMENT. Lee-Sangchul, president and CEO of Samsung-Electronics SEA-Oceania, and Anthony-Tan, Group CEO and co-founder of Grab, shake hands after signing the agreement. More than 2.3 million Grab driver-partners across Southeast Asia will have access to a micro-financing program focused on giving them access to robust mobile technology, which will reduce the cost of purchasing a smartphone and also lower ongoing maintenance costs with superior software and security features. This is part of Grab’s Better 365 program that provides more benefits and cost savings to drivers. This initiative was piloted in Myanmar in Q4 2017, where only 30% of adults have access to formal financial services, and will soon be rolled out across the region. Currently, drivers in Myanmar who sign up with Grab can purchase and own high-quality Samsung devices and get a micro-loan from CB Bank, one of Myanmar’s largest banks and Grab’s local banking partner, to finance the device. In less than three months of the pilot, more than 1,400 drivers in Myanmar have benefited from this program. PROGRAM FOR DRIVERS. More than 2.3 million Grab driver-partners across Southeast Asia will have access to a micro-financing program focused on giving them access to robust mobile technology, which will reduce the cost of purchasing a smartphone and also lower ongoing maintenance costs with superior software and security features.